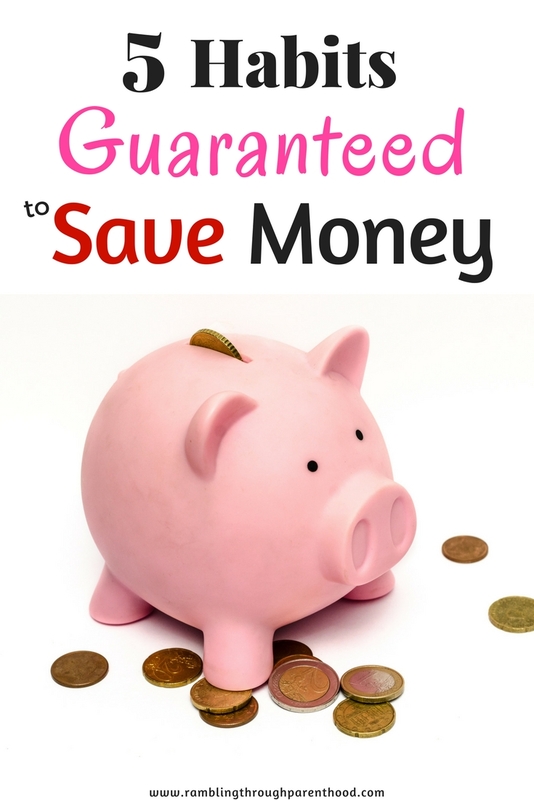 Saving money does not have to be about penny pinching. There are bargains to be had once you know where to look. That, and a few smart changes in the way you do everyday things can make a big difference to your budget in the long run. Here are 5 habits that are guaranteed to save you money. No matter how big or small the purchase, always compare before you buy. Be it holidays, insurances or savings accounts, you will save money if you shop around for the best deals before making the purchase. Most high-street retailers will price-match online shops on electrical and other household items, so don’t hesitate to ask. There are lots of websites that offer you cashback incentives for buying through them. Kidstart, Topcashback and Quidco are just a few examples. All you need to do is create an account with these and when the time comes to do an online shop, go to your chosen vendor via the cashback website. Once your visit is recorded, you will receive a percentage of the amount you spend on the vendor’s website. For example, Kidstart offers you 2% back on all Amazon purchases. When it comes to paying utility bills, setting up direct debits is by far the easiest way to do it. Most utility providers offer a discount for paying by direct debit. Plus, it saves you the hassle of trying to remember when the next payment is due. As long as your account has enough funds, a direct debit also ensures there are no nasty penalties for late or missed payments. It may seem like a small thing, but meal planning is an effective way to save money and stop food waste. Once you know what food you are cooking through the week, the next step is to draw up a shopping list. That way, you only buy that what you really need. It’s not just me saying this. If you want celebrity endorsement for the money-saving benefits of food planning, check out the BBC 1 programme called Eat Well For Less featuring Gregg Wallace and Chris Bavin. It’s all about the less is more lifestyle. Try and get the most use out of anything before deciding to throw it away. That way, you will be doing your bit for the environment and saving money in the process. These five habits, once they become routine, will make a massive difference to your bank balance. But if by chance the need arises when you need cash quickly, only borrow from a well-established and reputable short-term lender like Cashlady to tide you over. And then again, make sure you plan your repayments astutely, so you are not left looking at a massive debt.